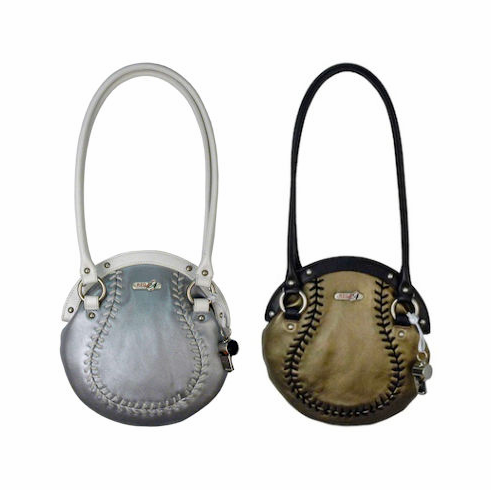 This baseball handbag defines you as a true baseball fan! Great for a trip to the ballpark or a summer night on the town! Choose silver or gold or even one of each! Soft sheepskin leather, baseball lacing design, easy access magnetic closure, inside zip pocket, ribbed nylon lining, all leather trim, whistle attached, appx. 9" across and 2" wide, 9" handle drop. Special pricing while supplies last on this retired purse design!